Salt Lake County home prices continued to climb in the second quarter of 2018, according to the Salt Lake Board of Realtors®. The median single-family home price in the April-through-June period increased to $352,500, up 7.8 percent compared to a median price of $327,000 in last year’s second quarter. Home prices increased across all Wasatch Front counties including: Davis, up 9.8 percent; Tooele, up 20.9 percent; Utah, up 10.1 percent; and Weber, up 9.6 percent. 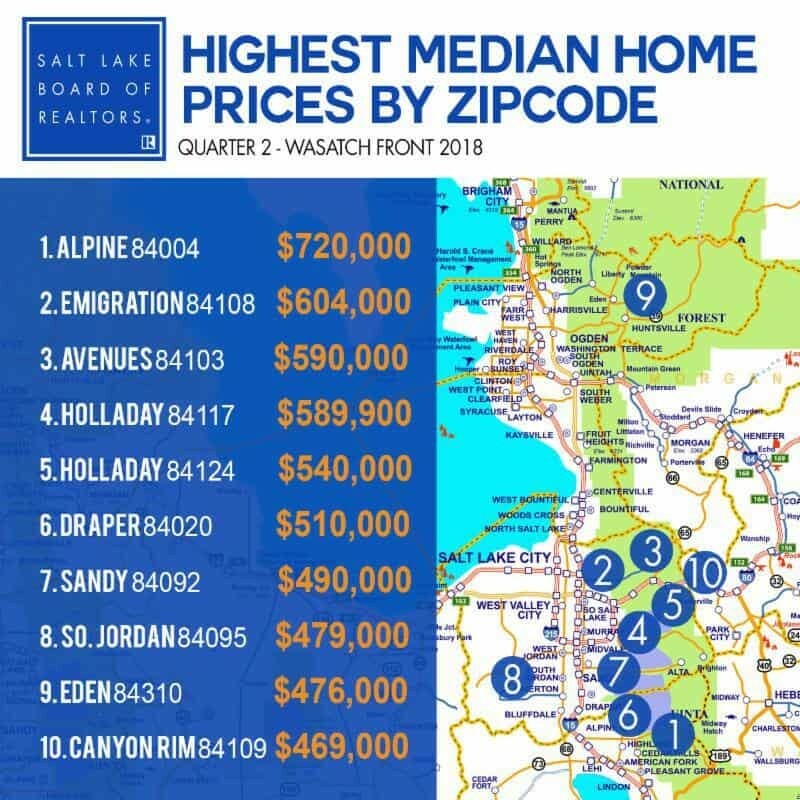 The median sales price of a Salt Lake County condominium also increased in the second quarter to $237,300, up 5.5 percent compared to a median price of $225,000 a year earlier.